Mr. Khadka is the life member and currently serving as a member of Executive Committee of the society. He has M.Sc. Degree in Science (Botany), B.Sc. Science (Biology/Botany from the Tribhuvan University, Nepal. He has also completed GFM diploma (GIS) from the International Institute for Geo-Information Science and Earth Observation (ITC), The Netherlands. He is also an employee of Government of Nepal in a position of Under Secretary (Technical) under Ministry of Forests and Environment. He has already served in a position Assistant Plant Resources Officer, in Jumla, Karnali, Nepal from 2014 to 2018 and Ilam, Mechi, Nepal from 2012 to 2014; Assistant Planning Officer, from 2010 to 2012: under Department of Plant Resources, Ministry of Forests and Environment, Government of Nepal and Lecturer in Botany, Little Angels College, Hattiban, Lalitpur, Nepal from 2007 to 2010. 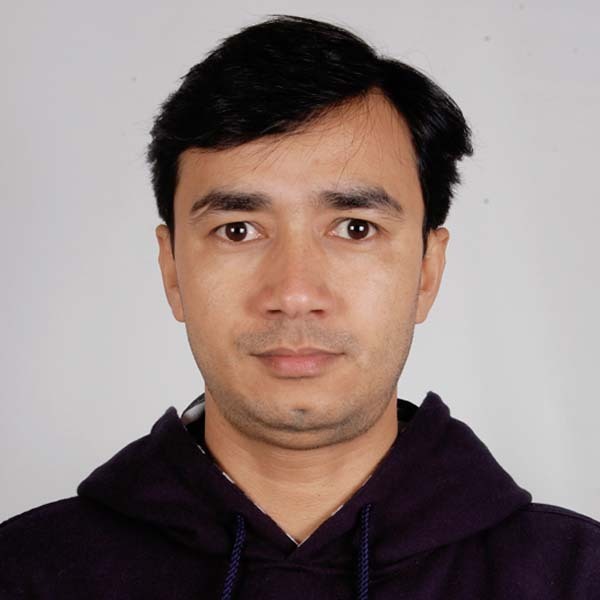 He also contributed as Visiting Faculty member in field of GIS in Eastern College of Engineering and Purbanchal University, School of Engineering and Technology, Biratnagar from 2005 to 2007.